Watching Lara Croft: Tomb Raider, it’s very evident how different humor in action films was in 2001 compared to now. This is before Iron Man. Before having refreshing levity in your movies was an obligation. Back then you could make a dry, self-indulgent blockbuster that takes itself too seriously and still doubles its budget at the box office. In 2018, Lara Croft: Tomb Raider would be a flop. It tries to be funny a couple times, but it never succeeds. Luckily it’s fairly entertaining regardless. Lara Croft, played by Angelina Jolie, is an expert collector of ancient artifacts. In this adventure, her deceased father (played by Jon Voight–seriously) leaves her a key that will help reunite two halves of a triangle that will allow whoever posses it to travel through time. She must find the two pieces before the Illuminati do. The Illuminati want to misuse the triangle’s power. Despite some unclear motives, the premise is pretty straightforward and easy to follow. Yet, everything happens with convenient punctuality. And it feels like the director is merely completing mandatory steps to further the plot rather than letting it all move along fluidly. Jolie does a pretty good job with her role, but the movie is short on supporting talent to offset Croft’s brooding demeanor. The villain is lackluster and Croft’s goofy sidekicks aren’t necessarily C-3PO and R2-D2. Everything about this movie tells you that the filmmakers aren’t comfortable with any sort of humor they’re given or supposed to include. And based on the unnecessary shower scenes and the skintight clothes that Jolie wears, you’d think that Tomb Raider was directed by a 13-year-old boy. It’s just way too cool for itself. I don’t really have any problems with the unrealistic Fast and Furious-type action, but here it’s mostly uninspired. Not quite as slick or original. 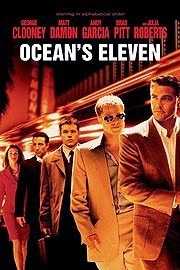 I can see people in 2001 viewing this film as below them, but we can watch it now and enjoy it as a product of its time. If nothing else, it’s fairly entertaining. Satire films are difficult to review. Do we judge them simply based on how well-written the jokes are? Or how good the story is? Already, they have to be given a handicap because there are some aspects of ordinary film that, by nature, they usually don’t possess–like character depth or a traditional narrative. But on top of it all, they’re supposed to be funny. And while this one may not be laugh-out-loud for everyone, it definitely has its moments. The style of humor is consistent. It never tries to be something it’s not. And for those who enjoy its irreverence, they will get a lot out of this one. 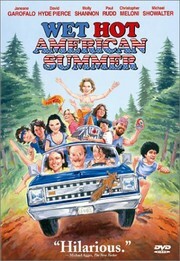 Wet Hot American Summer takes place on the last day of camp, during the summer of 1981. But instead of it being about the campers, it’s about the counselors and how they all try to make the best of their final 24 hours. With a cast that reads off more like a very odd Garry Marshall holiday-themed film, one would think that this was the comedy event of the year (consisting of Paul Rudd, Amy Poehler, Bradley Cooper, Molly Shannon, Elizabeth Banks, Janeane Garofalo, David Hyde Pierce, Michael Ian Black, A.D. Miles, et al). But unfortunately, most of the talents went underutilized and nobody gets nearly enough screen time. And despite this being a summer camp themed movie, there are not a lot of archetypes. The characters are all pretty much the same type of stupid, with not much varying in personalities. There are some really clever bits, but it’s mostly just a massive compilation of jokes without any real overarching linearity. It resembles some sort of modern-day Airplane! but even Airplane! had us invested in how it would end. But oddly enough, the movie’s best moments all involve the kids in some way–although the film is meant to be about the counselors. And the highlight is the penultimate scene at the End of Summer Talent Show, where we are treated to an MC that echoes a demented Henny Youngman. As much as I laughed, I was hoping this movie would be something a little different. With not a lot of good coming-of-age summer camp movies out there to choose from, Wet Hot American Summer misses an opportunity to really touch upon the nostalgia of going to camp. There are some really great scenes and story arcs that it doesn’t capitalize on. As a former camper-turned-counselor, a lot of my own memories from growing up happened at camp, and I just wish that the filmmakers weren’t so concerned with making it a satire. It’s not like there’s some overindulgence of these type of films for a satire to be warranted. It has the ingredients of a really great, meaningful film, but sacrifices this for the sake of irreverent jokes–albeit a few, I admit, I laughed at. 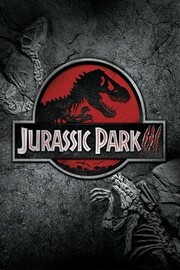 Sam Neill is back in this third installment of the Jurassic Park trilogy after being absent from the previous film. In this one, the filmmakers use much of what works with the first film as far as the narrative. They apply the same formula in hopes to get a similar result. And it works! Everything from attention grabbing openings to reuniting children with their families adds to the recipe for this highly entertaining film. Doctor Alan Grant (Neill) is dragged to Isla Sorna (the dinosaur inhabited island from The Lost World) by an eccentric couple who may have a hidden agenda that Grant isn’t aware of. Although it copies many elements from the first film, it makes its own mark with some great action sequences and a refreshingly consistent narrative. The script is much less convoluted than its predecessor and it’s full of quotable lines. There is a brilliant scene involving pterodactyls–which may very well be the highlight of the entire film, and one of the best scenes from the trilogy. Jurassic Park III retains the mystery and surprise that has been so key to making this series enjoyable. And I’ve said it before, but John Williams’ score is so fantastic. I get chills every time I hear that motif. The music provides such a peaceful contrast to the thrilling suspense going on at the same time–helping to underline the magnificence of these dinosaurs regardless of the specific circumstances that these characters have found themselves in. The only thing that keeps me scratching my head is how the effects team can make these dinosaurs look so impressive, yet they can’t perfect the green screen technology. Either way, this is a perfect denouement to a brilliant trilogy. This movie gets better with age and it grows on you the more you watch it. It’s also a case of the follow ups making you appreciate the early films even more. The dialogue is corny but laughable, and the storyline is very good. There is a surprising amount of depth with the leads. 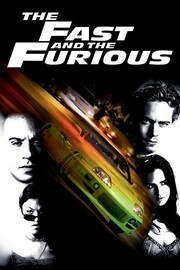 The series–and this film in particular–is about Brian (Paul Walker) and Dom’s (Vin Diesel) growing relationship. It won’t be the same without Walker because he and Diesel’s chemistry is what made these films so charming when we first started watching them. The director, Rob Cohen, is not very good at bringing the best performances out of his actors, but does an excellent job directing the action and racing scenes. The cuts might be a little jarring, but it makes even the slower parts of the story more engaging. The action is distributed perfectly among the film and you never go too long without a good adrenaline rush. This movie isn’t great to everyone at first, but watch it again after you’ve finished the rest of the series and you’ll see that it’s a fun watch. 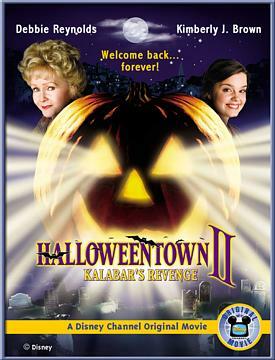 The thing about spoof movies of this sort is that it might make you laugh, but they are hard to warm up to. They sacrifice depth for humor. And in this movie’s case, there isn’t even a whole lot of genuine laughs. There aren’t even a whole lot of one-liners. Although some of the subtle details are clever and it does have its moments. A lot of scenes will even make you smile at the good points that they make, but unless you are watching this with a group of friends, it’s not really going to satisfy. The worst part is that the cast is actually all really good. The talent here is better than even the above-average spoof movie. It’s not terrible, but it’s not urgently rewatchable either. However, some of the subtle details are pretty clever and it actually does have its moments. The cameos are great and it gets a lot of things off of its chest, but Not Another Teen Movie still won’t make you realize anything new about the films that it’s spoofing. I mean, in hindsight this is one of the better spoof movies that we’ve ever gotten, but there aren’t a whole lot of good ones to choose from. It’s definitely no Airplane.